Jason O’Sullivan critiques the highs and lows of Brockhampton’s latest album, Iridescence. Brockhampton have undergone a dizzying rise in the last eighteen months. From their humble beginnings in San Marcos, Texas, to the stellar Saturation trilogy, the self-proclaimed ‘boyband’ have come a long way in such a short amount of time. Even with the personal controversies that have hit the group in 2018, which led to Ameer Vann leaving under a cloud, and many projects being delayed, Brockhampton have seemingly gone from strength to strength. Now Brockhampton have finally released a highly anticipated fourth album, Iridescence, the first in The Best Years of Our Lives trilogy. The album opens with the track “New Orleans”, which sees each vocalist in the group playing a part, with the explosive opening verse from Dom McLennon being the highlight of the track. Unfortunately the song loses some stream after this point, and even more unfortunate is the way the album’s momentum suffers over the next four songs. Over this portion of the album’s runtime, many of the tracks range from uneventful, in the case of “Berlin”, to the boring and uninspired “Something About Him”, which is not only the weakest song on Iridescence, but quite possibly the band’s entire discography to date. The album does build up some steam in “Where the Cash At”, led by a bombastic performance from Merlyn Wood, his most unrestrained performance of the entire project, but the group still struggles to reach heights seen on previous albums. Then almost out of nowhere the album just clicks with the song “Weight”, which deals with much more personal subject matter. In the track Kevin Abstract discusses his insecurities about his talent, stating he feels he’s “the worst in the boy band”. There are also themes of sexuality and depression, two staple Brockhampton motifs. It’s in these deeply intimate sections that the album hits its peak. This more personal approach to songwriting continues throughout much of the album’s runtime. In “District” the group reflects on their financial success and fame, and how it hasn’t necessarily translated to happiness. In “Tape” the different group members discuss more of their insecurities and regrets, with the song’s drumbeat contrasting nicely with subtle piano and strings to create an emotionally resonant song. These emotional pieces are juxtaposed by “J’ouvert”, a straight up banger, with the angriest verse on the album delivered by Joba, where he relents over the treatment he’s received from unnamed people in the past. This is followed up by “Honey”, where Dom McLennon shines, rapping over an intense beat about the struggles of poor people in inner city ghettos, one of the few moments on here where Brockhampton discusses issues not directly related to them. These more zestful songs lead nicely into the two highlights of the album, “San Marcos” and “Tonya”. “San Marcos” is a nostalgic ballad with a beautiful guitar instrumental and string sections, with a charming gospel choir on the outro. Each member or the group trades admissions about their mental health, paranoia and other afflictions. “Tonya” follows a similar vein. Opening with a graceful piano solo, with vocals from bearface, the production on this track frames the piece as a confessional about the pressures of fame, burnout, mental illness and familial problems. While not always consistent, Iridescence succeeds in many aspects, and is a strong jumping off point in a new era for the boy band. Highlights such as “Weight”, “San Marcos” and “Tonya” could easily be considered some of the group’s best material. 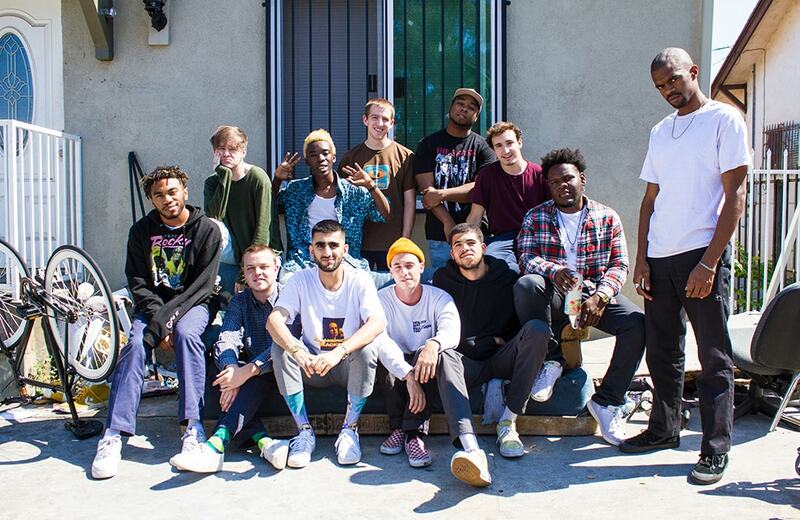 If Brockhampton can avoid a slow start on their next project and continue many of the inspired ideas present here, they could create the most complete album in their discography to date.